At Feldmanis Family Dentistry, your dentist in Eugene, Oregon Dr. Rita Feldmanis wants every patient to enjoy the very best oral health possible. One of the most effective ways to protecting your teeth and gums is to monitor the foods and drinks we enjoy. 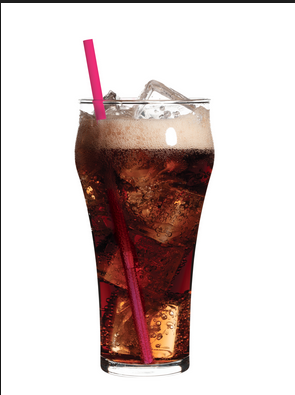 Whether your brand is Coke or Pepsi, soda is one of the most popular beverages in the U.S. However, despite the positive memories of drinking a cold Coke on a hot summer day, drinking soda can have some serious longterm health consequences. In recent years a number of studies have found that drinking soda even as infrequently as once a month can negatively impact an individual’s health by dramatically increasing their risk for a variety of chronic diseases, including gum disease, obesity and diabetes. A report published in The Renegade Pharmacist went viral recently outlining the harmful impact drinking soda has on the body. Commenting on the information found in the piece, The New York Daily News remarked, “the beverage wreaks havoc on the body, releasing an excess of dopamine and leaving the individual dehydrated, sluggish, irritable and craving more.” The data shared in The Renegade Pharmacist’s report mentions soda’s 10 teaspoons of sugar, and the phosphoric acid, which is added to make the sweetness more palatable, as primary causes of why drinking soda has this effect. 10 minutes: 10 teaspoons hit your body’s metabolism – 100 percent of your recommended daily allowance – and the only reason you can stomach the overwhelming sweetness is due to the presence of phosphoric acid, which helps you keep the beverage down. 20 minutes: Your blood sugar spikes, causing you to experience a burst of insulin. Your liver responds to the shock by processing any sugar it can obtain in the body into fat. 40 minutes. At this point your body has completely absorbed all of the caffeine. Your pupils dilate, your blood pressure increases, and in response, your liver expels more sugar into the bloodstream. The adenosine receptors in your brain have now become blocked, which prevents drowsiness. 45 minutes. Your body increases dopamine production stimulating the pleasure centers in the brain, an effect similar to what heroin has on the body. 60 minutes. Once your body begins to level off from the ride it has just experienced, you’ll start to feel a sugar crash. You may begin to become irritable and/or sluggish. If the effect drinking soda had on the body wasn’t bad enough, it can also cause severe damage to your teeth’s enamel. Sugar, the primary fuel for plaque, causes bacteria to release harmful acids that slowly erode away at your teeth’s enamel. The acid found in soda that makes the beverage drinkable also increases the pH levels in your mouth, making the damage done by plaque acids even more impactful and harmful to the current state of your oral health. The best way to prevent this damage from occurring, other than by not drinking soda, is to rinse with water after every few sips. Don’t brush your teeth after drinking a soda, as the enamel is still weak from the acids. Rinse with water and wait till before bedtime before brushing. If you have any other questions about what drinking soda can do to your oral health, feel free to ask your Eugene dentist, Dr. Rita Feldmanis, during your next appointment at Feldmanis Family Dental.